Signs have been removed at the former Cantrell Funeral Home on Mack Avenue in Detroit, Saturday, October 13, 2018. The badly decomposed bodies of 11 infants were found in the ceiling of the former funeral home on Oct. 12, 2018. DETROIT – Four dumpsters of garbage had been removed from a former Detroit funeral home full of stains and "horrendous smells" before a grisly discovery Friday: Eleven infant bodies hidden in the ceiling. Naveed Syed, CEO of Quality Behavioral Health, purchased the former site of Cantrell Funeral Home less than a month ago and was renovating the building Friday afternoon when investigators from the Michigan Department of Licensing and Regulatory Affairs told him they needed to take a look around. They'd received an anonymous tip about bodies being stored in the building. Once investigators found the corpses in the building, Syed said it was "difficult to process what was going on." "The bodies were badly decomposed, some of their faces weren't even recognizable," Syed said Saturday. "No matter how strong you think you are, seeing 11 dead children takes a toll. It can be traumatizing, and it's so sad." Nine bodies were found in a cardboard box, and two were found in a trash bag placed in a casket, Detroit police said. Officials with the Wayne County Medical Examiner's office didn't immediately respond to requests for information on the bodies' identities or circumstances of deaths. Syed said the deceased children looked like they were up to 3 years old at the time of death. He added that the bodies were embalmed or mummified. 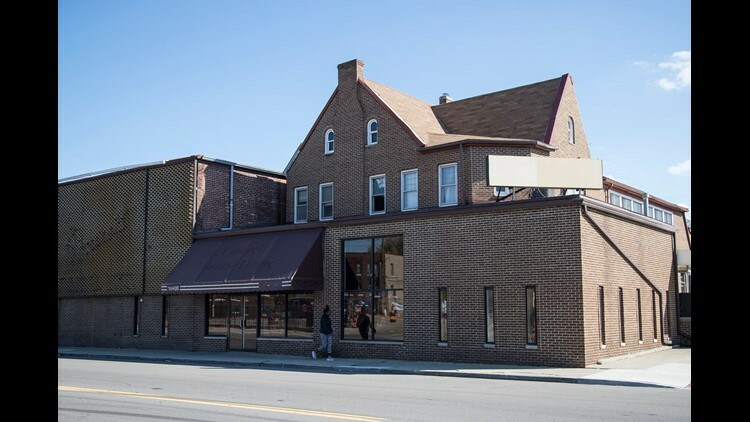 Quality Behavioral Health president and CEO Naveed Syed is the current owner of the former Cantrell Funeral Home building on Mack Avenue in Detroit, Saturday, October 13, 2018. The badly decomposed bodies of 11 infants were found in the ceiling of the former funeral home on Oct. 12, 2018. Cantrell Funeral Home was shut down in April after investigators found bodies that had been stored for months in an unrefrigerated garage and other unsanitary areas. The business also was in violation of several other state rules, according to regulators. Upon discovery of the bodies, the Department of Licensing and Regulatory Affairs called the police. Michigan State Police used cadaver-trained dogs to look for any additional corpses – they found none. Officials haven't indicated why the small bodies may have been stored in the ceiling, and Syed said he has no idea why they were there. He said that earlier Saturday, a building worker had found ashes, apparently from a cremated human. "It's messed up, man," he said. "There was no respect for the dead." Syed said he purchased the building four weeks ago from Wayne County, Michigan; he estimates renovations will cost about $500,000. 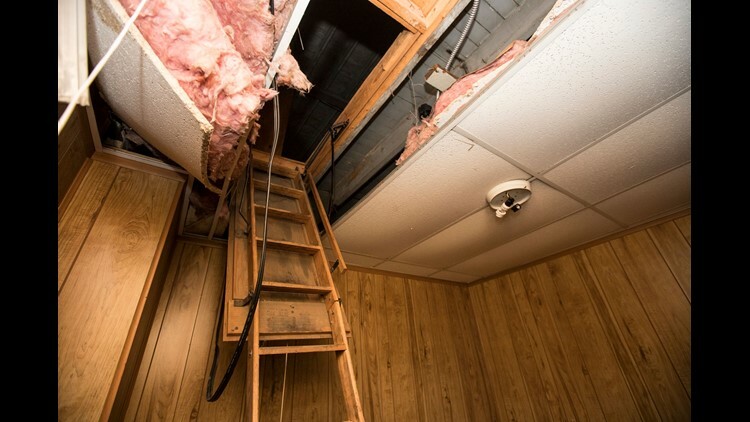 The badly decomposed bodies of 11 infants were found inside of the false ceiling on each side of the attic ladder at the former Cantrell Funeral Home on Mack Avenue in Detroit, Saturday, October 13, 2018. "When I got the building, it was in bad shape," he said. "We have thrown away four dumpsters of garbage. "There were horrendous smells, the walls were stained, if you smelled the carpet you would have thrown up. It was really bad." Police said Friday that they planned to speak with the funeral home's former owner, Raymond Cantrell II. Cantrell II had become the owner of the funeral home after his father, Raymond Cantrell Sr., died in 2016. Family members of Cantrell II operate Cantrell Funeral Services in Eastpointe, Michigan. The owners declined to speak with the Detroit Free Press. Subsequent to the gruesome discovery Friday, Syed took down outdoor signs that donned the Cantrell name. He said he plans on putting up signs that read "Hakuna matata" (a Swahili phrase that roughly translates to "no worries"). 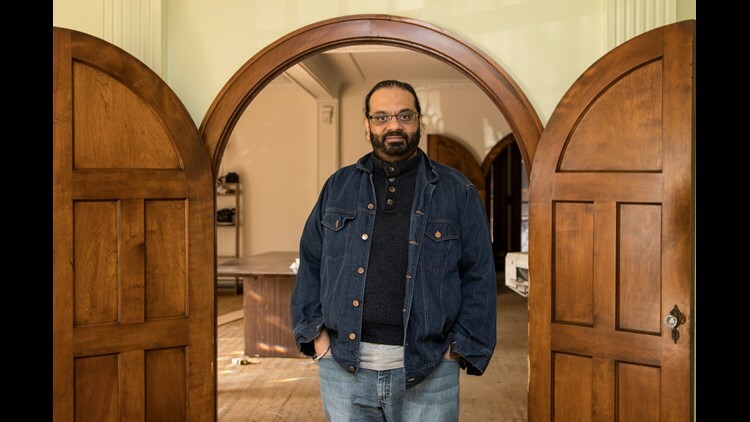 He plans to turn the building into a community center. Renovations will continue, and he hopes to get the building ready in November, he said. Syed said it will provide people with social services, including free laundry and showers. "This neighborhood has a lot of issues, and we want to do what we can to help," Syed said. "It's a healing process, and what happened yesterday isn't going to stop us from continuing our work."